Greenwood, MS: Adah Abbott Moses, 84, passed away peacefully at her home surrounded by her family after a lengthy illness on November 12, 2018. Funeral services are 11 A.M. Saturday, November 17 at the Episcopal Church of the Nativity with interment in Odd Fellows Cemetery. Fr. Peter Gray and Rev. Glenn Seefeld will officiate. Visitation is from 9:30 till 11 at the church. Adah was born on November 2, 1934 to Charles Gay and Elizabeth Brown Abbott in Greenwood, MS where she resided the majority of her life. She was a graduate of Greenwood High School and attended MSCW. Adah was a kindergarten teacher for many years and spent the last 37 years as office manager of her son Dr. Walter Moses’ medical office. “Miz Adah” as she was affectionately known to many friends and patients of her son, was an outgoing, caring person who always had a smile on her face and more than likely put a smile on the faces of those she encountered. She was strong in faith, having a deep love of Jesus Christ her Lord and Savior. 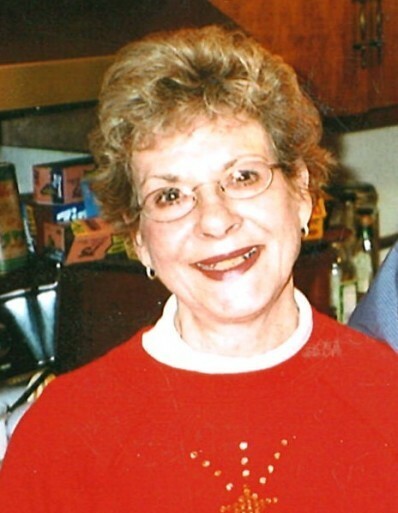 Her family meant the world to her and she always looked forward to hosting holiday dinners, being surrounded by them. She was a communicant at the Episcopal Church of the Nativity and also attended Valley Hill United Methodist Church. Mrs. Moses was preceded in death by her parents, her husband of 63 years, Walter C. Moses, Sr., and her son Dr. Walter C. Moses, Jr. Survivors include two sons, Charles Abbott Moses (Carla), and Dr. Jeff Moses (Carol), daughter-in-law, Beth Moses, sisters, Betsy Brown Abbott, and Mary Frances Caldwell, 8 grandchildren and 12 great grandchildren. Pallbearers will be, Walter C. Moses III, Wilson Moses, Abbott Moses, Charles Moses Jr., Donny Schilling, Roy Schilling, Dr. Kenneth Hines, Dr. Henry Flautt and Dr. Abe Malouf. The family requests that memorials be made to the Greenwood MS Cemetery Association P.O. Box 1934, Greenwood, MS 38935, the American Cancer Society, St. Jude Hospital or the charity of donor’s choice.